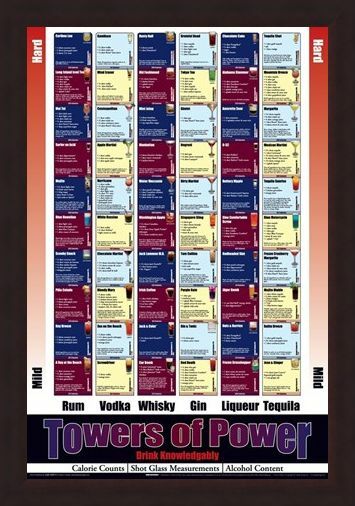 Food and Drink Maxi Poster: Do you think you are tough enough to handle the towers of power? 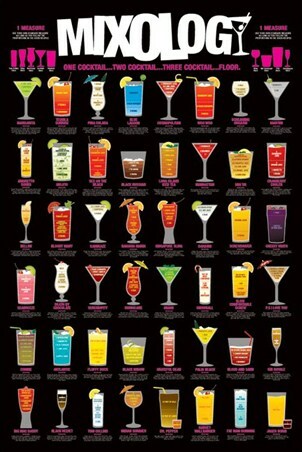 Then why not embark on a new drinking adventure with the help of this brilliant maxi poster. 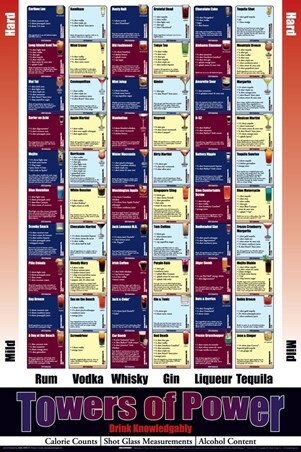 Featuring six of the alcoholic base elements, these towers begin with mild mixes and work up to the hard stuff. 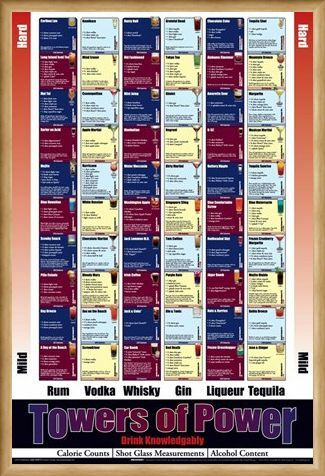 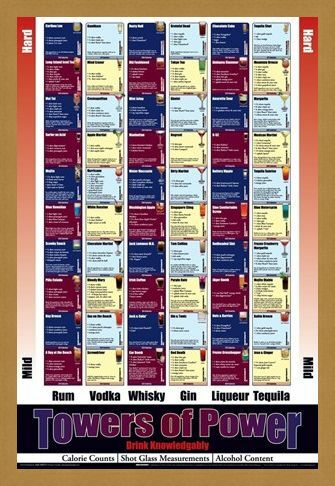 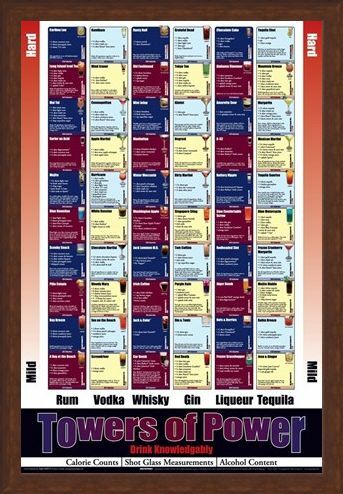 From the rum based pina colada and the vodka hurricane to the dirty Martini with gin and the liqueur based Alabama slammer, this poster is the perfect way to find your favourite weekend beverage. 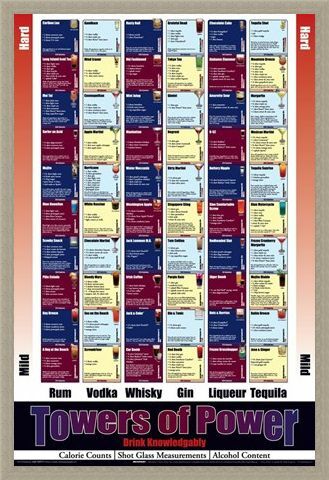 So why not pour yourself a glass of the good stuff and get you know your drinking limits with this chart of calories, alcohol content and shot sizes. 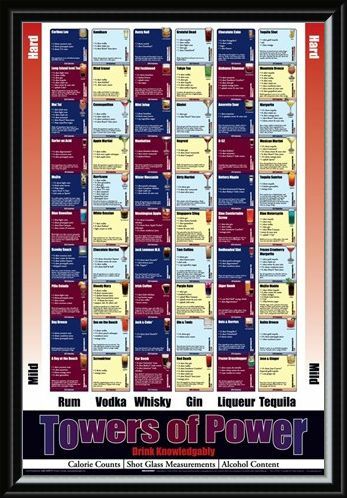 High quality, framed Towers Of Power, Drink Knowledgeably poster with a bespoke frame by our custom framing service.